This weekend I was in Reno and Lake Tahoe celebrating my wedding anniversary and during my long duration home I had a realization about me, that I needed to nip in the bud now before it’s to late! But first about my trip! Reno, well it’s Reno, if you ever been there you know what it’s like. We stayed in the city and I have to say it was really bummy and dirty! We like going to Reno to gamble on the slots, and nope I didn’t win!! For that reason we cut our trip a day short. We figured if we stayed any longer we would go for broke! Gambling is fun, but if you don’t have the money to, it’s depressing! We did spend our Saturday in Lake Tahoe and it was perfect out! Sunny and in the mid 60’s. I’ll share some photo’s with you in a minute. We drove the Lake stopped off at my favorite bakery and then we went for a long hike, looking for Fallen Leaf Lake, but couldn’t find it, but we did get our hike in. All in all I had a great trip, but it feels even better being home! 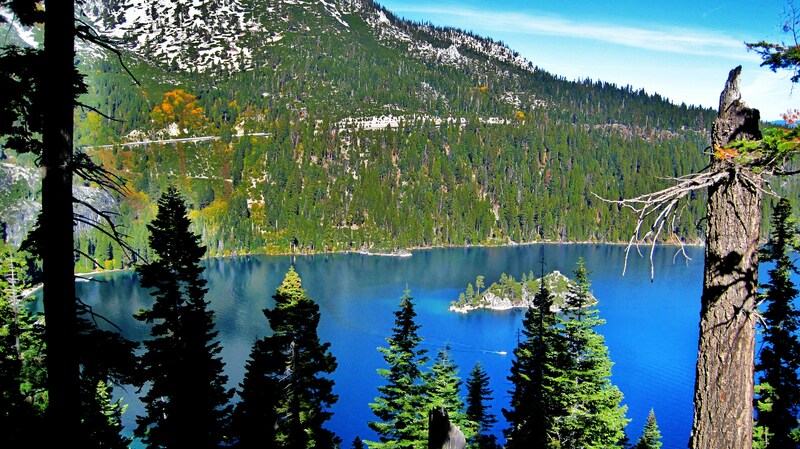 Here is Emerald Bay, this is where we got married 6 years ago! 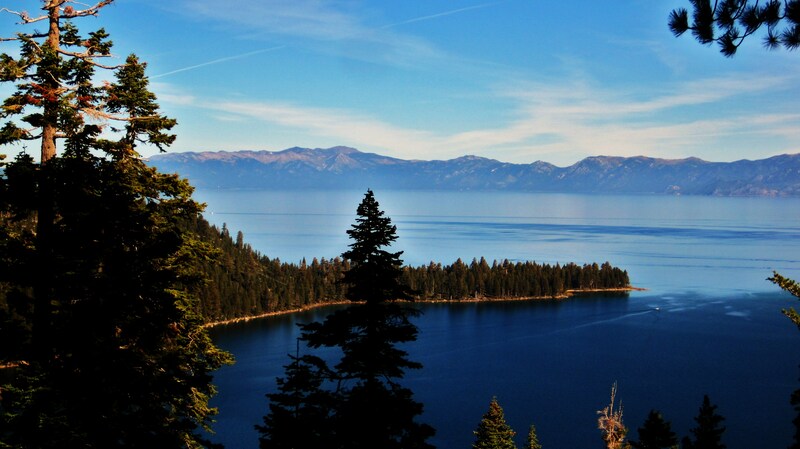 This is Tahoe House! They have the best baked goods and BBQ sauce! I love the Habanero BBQ Sauce. I stocked up! You can order online too. 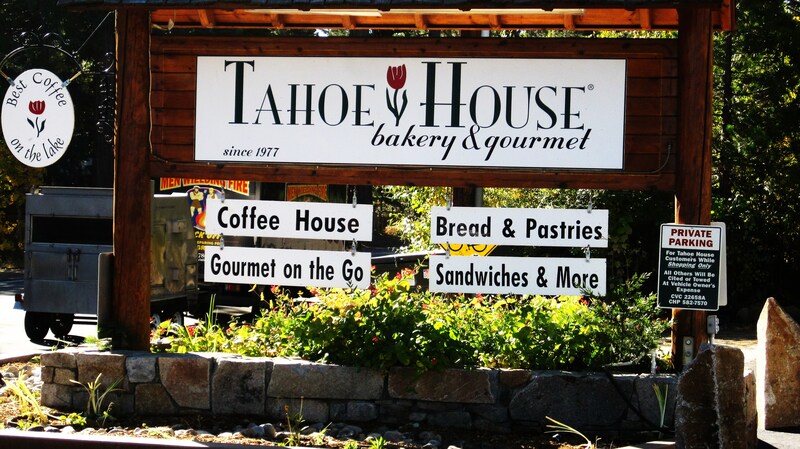 http://www.tahoe-house.com/ If you ever make it to Lake Tahoe, you have to go there for breakfast or lunch!!! Here is Emerald Bay again, we couldn’t make it to the spot where we got married, because there was another wedding going on. It’s so beautiful there! This is a creek we saw on our hike. 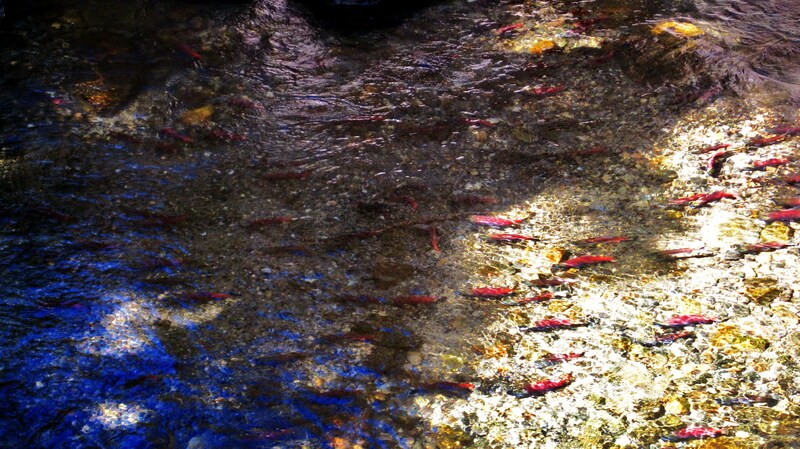 The red specks you see is Salmon. 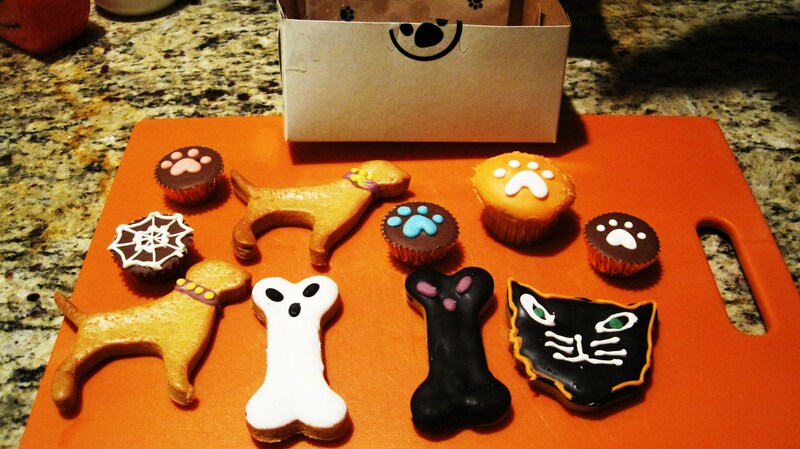 These are dog treats that I bought for Sampson and Samantha. I spent a tiny fortune on them, but there so cute! Ok, now for the realization! I’m starting to eat to many sweets! I have over indulged and I can see and feel the difference! I can put away food like my stomach is an endless pit! I went to a Buffet this weekend and yes I loaded my plate, but I didn’t eat it all but I did eat a lot, my Husband was shocked to how much food I ate. I guess you can say I had a binge! I’m not proud of myself, especially since I always try to preach healthy living and everything in moderation, but I kind of threw that out the door this weekend! I did gain 1 lbs and 1/2″ in my thighs and hips. Not to cool. I worked long and hard to get the results I was happy with! So starting today, I am back to eating healthy and exercising!!! So expect healthy recipes. If I make anything not so healthy it will be in small batches and small sizes! I still believe everything in moderation, not eat everything!! So start off my week! I am cooking and preparing in batches! I made peanut butter, rolls for my husbands lunch and I am off to the grocery store to buy vegetables, cut them up and grab them when I have the urge to eat! I need to start at square one, and that includes emptying the pantry, freezer and fridge with all the crap food!!! No more processed stuff, though I don’t buy much of that! No more sugary sweets! The holidays are coming in less then a month, I can have my treats then, but until then it’s clean and healthy eating! Are you on board with me? Just think holiday dresses, sweaters and layered clothing is coming up and I want to look good in them! So I am officially saying good by to all that crap that makes me feel weighed down and bad about myself and saying hello to the new me!! Stronger better then ever!!! I know I can do this, I’ve done it before. To start my week, I made an Fruit Crumble, yes your thinking, she just said all this crap and makes this dessert? What the hell? Well, this is healthy! Gluten free and filled with natural ingredients! I made this to top my yogurt, and oatmeal! That way I get my fruit and granola fix and I won’t be topping my frozen yogurt with chocolate, but with dollops of healthy fruit and nuts! Marla, has the best recipes and I know there natural and gluten free, natural and healthy! You should check out her site for other great recipes. I followed her recipe extract, but instead of apples, plums and figs I used apples and cherries, since that is what I had in the house and I love that combo! First I cooked my fruit in a large pot and then put in my baking dish. Then I topped with my crumb mixture and baked for 20 minutes. It was easy and fast!! I would of taken a picture of it out of the oven, but my Husband dug in before I got a chance! 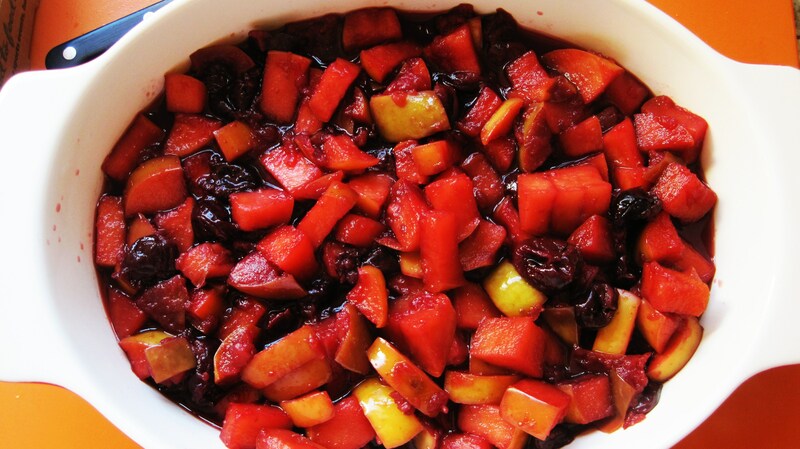 Put fruit in a medium sauce pan with 2 tablespoons of water. Bring to a boil and then reduce to a simmer, partially covered for 25 minutes. Stir a few times. Remove from heat and let cool a bit. Whisk together the almond flour, oats, salt and cinnamon and sunflower seeds. Stir in the melted coconut oil and optional sweetener. 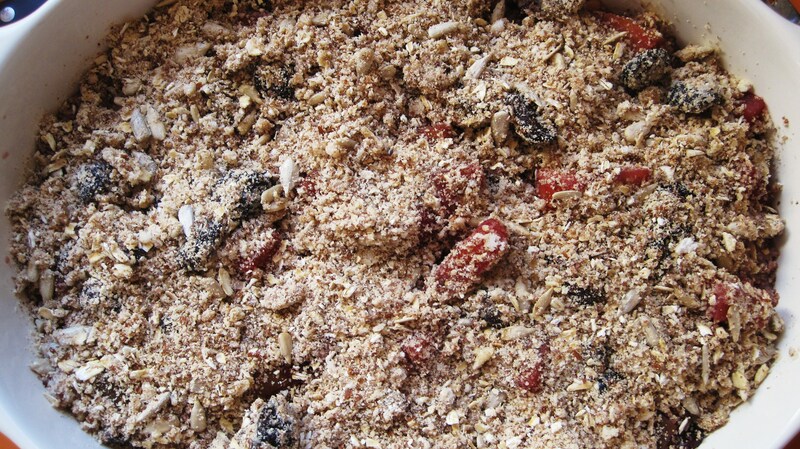 The mixture will be chunky and crumbly. Pre heat oven to 350 degrees F with the rack in the middle. 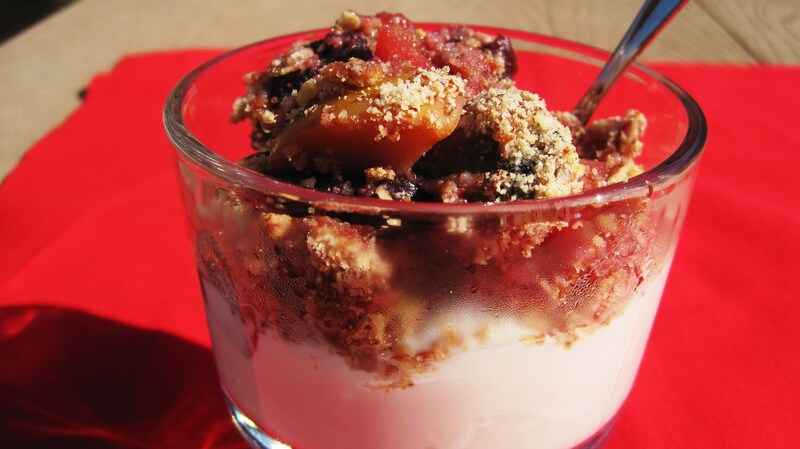 In a 10 1/2 by 7 inch oven safe baking dish add the fruit and then the crumble topping. Bake for about 20 minutes, until slightly browned. To brown a bit more you can heat under a low broiler for 4-5 minutes. Watch carefully if you do this so your crumble does not burn. Note: to make Coconut Oil, All I did was take shredded coconut and put into my food processor until it made a butter, and I used that in my crumble, it worked great!! Thanks Marla for the awesome recipe and letting me share it! I love it!! 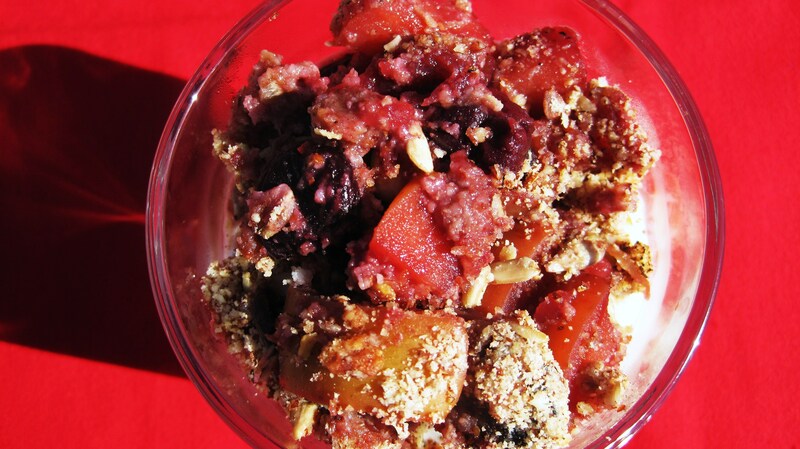 Guys, check out Family Fresh Cooking and see the photo’s of Marla’s Crumble. 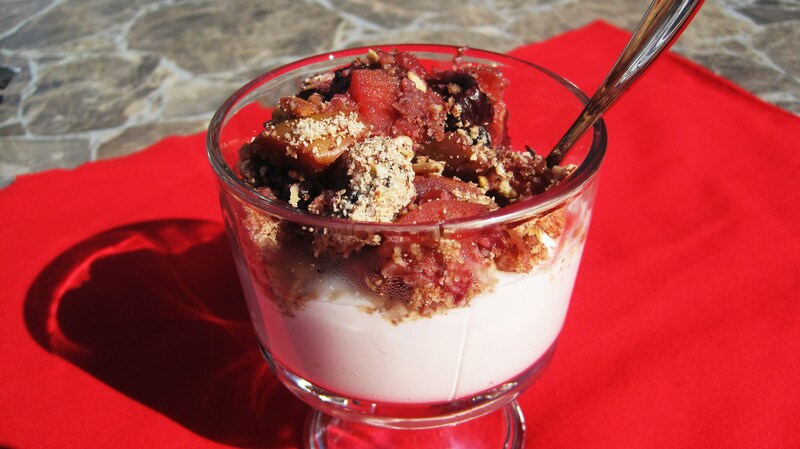 Hope you try this recipe, it’s so good and good for you!! I like to call this, the make you feel good dessert! Enjoy and have a great week!!! It takes a lot of self-control to reel yourself back in after indulging yourself!